There are few things in this world that can bring as much comfort and joy as being a pet owner. Especially so when you have a pet with you in assisted living. A dog truly is man’s best friend; they always greet you at the door at the end of a long day with an eager wag of the tail, and will never turn down playing a game of fetch with you after taking a leisurely stroll around the block. A cat is also a worthy and cherished companion; while they are known for their independence, they are just as eager to curl up with you on the couch as you settle in and relax. This special love and friendship doesn’t have to end (and frankly, shouldn’t end) when people make the adjustment from independent living to a senior living environment. Many assisted living communities, including Autumn Pointe Senior Living, recognize the benefits of pet presence in senior living. Dogs, cats, and other furry companions not only improve the lives of residents, but they can also help ease an individual’s transition to a senior living residence. But entering a new chapter in life, such as entering a senior living facility, requires preparation on what aspects of your current life are expected to slightly alter. 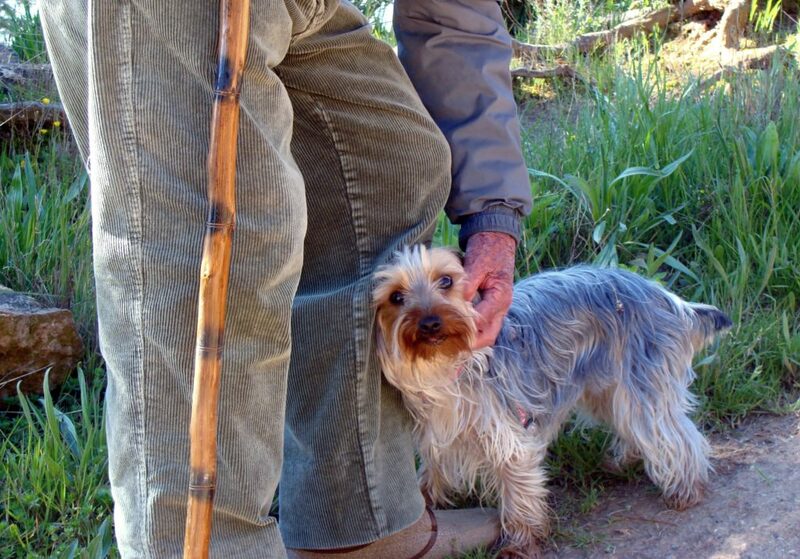 Here are a few things to understand about owning a pet within an assisted living community. If the community a senior is moving into has plenty of residents who own dogs, then that facility can easily adjust to the pet you bring in. However, if the community has certain requirements, such as pets under a certain weight, you must take those things into account before that transition occurs. Although puppies are adorable and cuddly, they can do a significant amount of damage to its owner’s residence. Puppies can chew on furniture, run out doors quicker than its owner can stop, and often require potty training. If a resident in a senior care living facility is not mobile enough to handle these characteristics they should consider owning an older and better-trained dog. 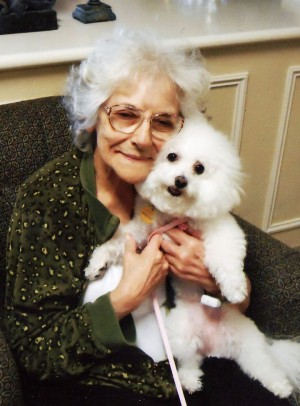 Many members of our team at Autumn Pointe Assisted Living are proud and happy pet owners. We love our four-legged friends so much that we genuinely cannot imagine a day where we wouldn’t get to see them. If our pets are this important to us, then naturally, the pets of our beloved residents are just as important to them. That’s why our facility, for a minor additional fee, allows our residents to have small pets within their apartments. We recognize that one individual’s furry companion can bring a great amount of pleasure to the entire Autumn Pointe residence, and we always embrace the opportunity to welcome new family members to our wonderful community. Call 402-468-4700 to learn more about our pet policy or to schedule your tour today.